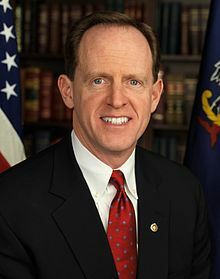 Pat Toomey deserves your support. Toomey Deserves Re-election — Some are wondering why Sen. Pat Toomey deserves their votes this Nov. 8 in his re-election bid. This article from May 31, 2013 should be all the reason one needs. By the way, he basically saved Sarah Murnaghan’s life along with the lives of other children subject to the whims of unfeeling bureaucrats of the type with which his opponent associates. Here is the 2013 article republished. Sen. Pat Toomey has taken on the uncaring federal health care establishment in an attempt to to save the life of a 10-year-old Newtown Square girl. He notes that Sarah Murnaghan may have just weeks to live. Sarah has cystic fibrosis and needs a lung transplant. She is fighting for her life at Children’s Hospital of Philadelphia. “Pediatric organ donors are in short supply and the likelihood of Sarah receiving a pediatric lung in time is virtually non-existent,” Toomey said. This is due, in part, because the decision is being made based on a waiting list rather than medical necessity. Toomey notes that a federal mandate that allocation policies be based on medical necessity only applies to patients over the age of 12. Sen. Toomey is asking the Department of Health Human Services for intervention. “I have asked Secretary Sebelius to do everything she can to assist Sarah and I hope and pray that red tape doesn’t get in the way of helping her. I understand we need rules to prioritize organ transplants, but the fact that Sarah is 10 and not 12 shouldn’t be a reason to deny her a chance at life,” he said. Toomey is also promoting this petition to save Sarah created by her family. Sarah Murnaghan is breathing on her own. 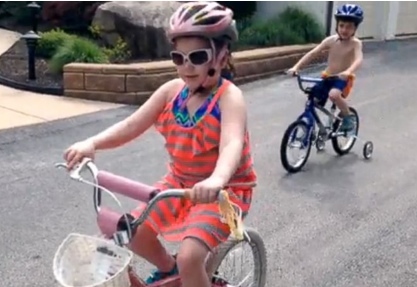 The Organ Procurement and Transplantation Network, yesterday, June 23, made permanent a rule that let children under 12 apply for adult lungs, and the Murnaghans of Newtown Square are celebrating. An change to the policy made June 11, 2013 in response to then 10-year-old Sarah Murnaghan’s fight for a new lung had been set to expired July 1. Then Health and Human Services Secretary Kathleen Sebelius refused to waive the rule instead offering a review that would have taken two years. This would have resulted in certain death for the little girl. Pennsylvania Sen. Pat Toomey took the fight to the bureaucracy while the Murnaghans sought relief in the federal courts, which they got and which resulted in the temporary change in policy. In the last year, seven children received adult lungs they would have previously been prevented from receiving. Some will say that is a modest result. Others will point out that seven families have been spared the heartache of losing a child and wonder why the fight had to be made in the first place. Sarah, by the way, is doing great and had her tracheostomy removed June 15. She is breathing on her own for the first time in years. Sarah Murnaghan Good News Update –The family of Sarah Murnaghan — the 10-year-old Newtown Square, Pa., girl the Obama administration nearly killed due to a perverse cold-hearted insistence on following outdated bureaucratic rules — has issued a statement saying the little girl is off oxygen support and is now back to school albeit at home. “She sprints off of the ventilator every day with her lungs and muscles doing all of the work,” the Murnaghans said. They said the big part of rehabilitation now is building back the muscles. “She does physical therapy every day and is now walking with a walker to support as needed. She loves to take walks in the neighborhood after dinner with the family and is so proud of her progress,” the family said. The family said that her teachers are coming to the house four days a week, and that her classmates and friends have been visiting. She will be returning to regular school next year. They noted that more than 373,000 people spoke out in support of the little girl. “Sarah would not be with us today without what everyone did with us to make a change,” the Murnaghans said. The New England Journal of Medicine article has an article about the difference the crusade to save Sarah made, which can be found here. Those wishing to make a donation to the Murnaghans can do so here. To all of you who have taken up Sarah’s cause and signed this petition to change the Under 12 Rule – thank you! Your incredible efforts have helped change policy and save lives. On June 10, the Organ Procurement and Transplantation Network (OPTN) board unanimously passed a resolution to allow children under 12 to be considered for the adult lung transplant list on a case-by-case basis by OPTN’s Lung Review Board. Three days before, a federal judge had granted Sarah and another boy – Javier Acosta, who is also in Children’s Hospital of Philadelphia with end-stage cystic fibrosis – a temporary restraining order that allowed them to be considered for an adult lung transplant based on their Lung Allocation Scores (LAS). On June 13, we received news that adult donor lungs became available and Sarah received a lung transplant. Sarah got lungs quickly after going to the adult list because her LAS finally mattered and she was the sickest one on the list. She had an LAS of 91 out of 100 when transplanted. We are in the early stages of recovery and Sarah’s battle has been rough, but we’re continuing to fight. As difficult as this process has been post-surgery, we appreciate that OPTN has now opened the door for other children in Sarah’s unique position to become eligible for adult lung transplant. The OPTN’s decision does not mean that children under 12 will automatically go to the front of the transplant line. They will not receive special treatment, but they will now be placed on the waiting list based on the severity of their illness the same way people 12 and over are listed. We hope Sarah’s story moves people to become organ donors, because more than any ruling, it is the heroes who donate their organs that save lives. God bless you all for standing by Sarah. Thank you to Congressman Pat Meehan, Senator Pat Toomey, Senator Bob Casey, Congressman Lou Barletta, Governor Tom Corbett and all of the other elected officials who fought to change the Under 12 Rule. To all of Sarah’s supporters who signed this Change.org petition, we thank you and ask for your continued prayers in support of Sarah and all people waiting for organ transplants. Teri Adams of the Independence Hall Tea Party Association has made a statement regarding yesterday’s lung transplant for Sarah Murnaghan. Of course, the terminally ill Sarah would never have gotten a second chance at life had a federal judge not intervened and overruled the policy of a cruel federal bureaucracy led by the heartless Health and Human Services Secretary Kathleen Sebelius. Kathleen Sebelius is the real life embodiment of Nurse Ratched (Louise Fletcher), a calculatingly vicious character from the 1975 Academy Award winning film One Flew Over the Cuckoo’s Nest. That a feckless government could have the ability to prevent an innocent child from receiving necessary life-sustaining treatment should be a wake-up call to us all–liberals and moderates, too–regarding the ugly nature of ObamaCare. We continue to pray for Sarah and her family just as assuredly as we continue to fight the healthcare beast named for our sitting President. And like the Murnaghans, we shall overcome. We thank our area Republican Congressional Delegation–especially the two Patricks–Toomey and Meehan–for their efforts to save this young girl’s life. Sarah Murnaghan has a lung. A six-hour operation was performed this afternoon (June 12) at the Children’s Hospital of Philadelphia and the 10-year-old did extremely well, her family said. desperately needed a lung transplant but was denied due to antiquated rules prohibiting those under 12 from being eligible for an adult lung. The adult lungs are much more common than children’s lungs. Kathleen Sebelius and the Obama administration refused to waive the rule causing a national outcry and leading her family to seek relief in federal court due to age discrimination. The relief was granted by Judge Michael Baylson allowing her to be put on the list for an adult lung. On Wednesday, a federal court ruled to allow 10-year-old Sarah Murnaghan from Newtown Square, Pa., and potentially other children, to be temporarily placed on the adult list for a lung transplant based on medical need. Sarah’s family filed emergency legal action in federal court to prevent the Secretary of Health and Human Services (HHS), Kathleen Sebelius, from enforcing a policy that prevents children under 12 from getting the adult lung transplants they need to save their lives. Judge Michael Baylson, senior federal judge on the U.S. District Court for the Eastern District of Pennsylvania, granted a temporary restraining order and told the Secretary of HHS to direct the transplant network to cease application of the “Under 12 Rule” as it applies to Sarah. Since then, Judge Baylson issued a temporary restraining order for another child in the Eastern District of Pennsylvania in a similar situation. The organ transplant network will hold an emergency review meeting on Monday. Finally, we have some positive news for Sarah and her family. I applaud the ruling and am grateful to Judge Baylson for quickly issuing his decision on such an important matter. Now Sarah has a chance for a lung transplant. As I’ve said all along, Secretary Sebelius should use her authority to make medical need and suitability, rather than age, be the primary criteria in determining how organ donations are prioritized. I hope this court ruling will encourage her to make this important policy change. The 10-year-old Newtown Square girl suffering from cystic fibrosis who desperately needs a lung transplant has apparently been consigned to death by Kathleen Sebelius and the Obama administration. Bureaucratic rules require those under 12 to wait their turn for adult organ transplants, which can be modified for children, and prohibit medical necessity as a consideration. The family of the girl, Sarah Murnaghan, has petitioned Health and Human Services Secretary Sebelius to waive the rule as it is in her power to do so. They were joined by Sen. Pat Toomey and people from around the world. Well, the Secretary has spoken. She has called for a review of the policy. It will take about two years. It is not going to do Sarah any good. The allocation of organs is obviously a difficult subject but it is horrifically callous to hide behind a rule rather than be guided by conscience. It is the bureaucrats that worship these rules as they allow them to make problems disappear while they consider the menu for their next catered lunch. This decision should not be in their hands. The only criteria should be is it necessary and can it be done. The determination is best left to doctors with proven track records. We must make that the case and fight to save Sarah.